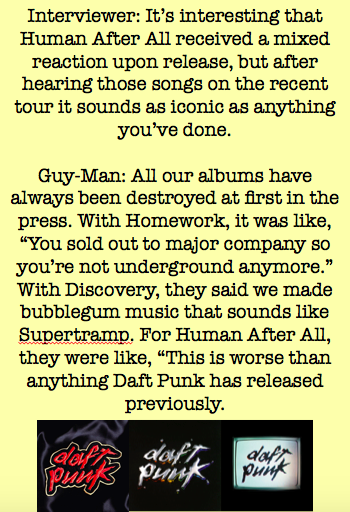 Daft Punk Was Done With Haters In 1997. Haters are everywhere. Even with Daft Punk, one of the most talented groups in the last 50 years. Let the haters hate, you do you. Earn a better class of hater, and never let the comments get you down.